For hackers, the start of a new year is the most wonderful time — which means for the rest of us, it’s one of the riskiest. Millions of Internet users engage in risky online behavior year-round without even realizing it. But this increases tenfold during the beginning of the year — something that shrewd hackers take advantage of in order to get their hands on your personal information, rip you off, and potentially destroy your credit in the process. Don’t: Fall for black hat websites. In other words, be wary of shopping on unfamiliar sites, even (or especially) if they are boasting incredible bargains and discounts. Fake websites are simple to create, and hackers use them to acquire your personal data and credit card information, or even infiltrate your computer with spyware. Do: Stick to shopping on sites you are familiar with. Look for sites that start with HTTPS; the S indicates that the site is secure. Installing a script-blocking plug-in will also go a long way to protect your privacy. And when you do decide to make purchases online, use your credit card or a service like PayPal rather than debit (and never wire money); your credit card offers a bit more fraud security. Don’t: Trust your social media. Your friends are not the only people who can see what you post on social media. Hackers may be lurking and can take advantage of this information in a lot of ways..
First, if you constantly post your whereabouts, using “check-in” features, and sharing travel or event plans, you are basically advertising an empty home, which opens you up to burglary. Secondly, hackers can use your social media preferences and data to create highly detailed phishing schemes, designed specifically to attract you — and defraud you. Finally, beware of clicking on links shared by your friends that advertise too-good-to-be-true promotions and giveaways. Your friends could have been hacked unknowingly, and hackers know you are more likely to click on something if you think it came from a trusted source. Do: Go private. If you haven’t updated your social media pages to the most secure settings, you would be wise to do so. But regardless, be wary about posting revealing information about yourself, particularly your whereabouts. Don’t: Bank from a shared device. If everyone in your family uses a single device to browse, shop, download music and movies, and check email, then your computer can hardly be considered a safe space. Any one of these activities, conducted by any of your family members, can introduce malware to your computer. A particularly nefarious type of malware is the banking Trojan. Banking Trojans, once they are on your computer, can steal your bank login information, intercept transactions, and drain your accounts — even if your bank’s website is secure. What makes it particularly dangerous is that antivirus software cannot detect it — which means you need to stay vigilant. Do: Use best online banking practices, like having a strong password and two-factor authentication. Only use your private device for online banking and stick to your own secure network as well. Hackers often come up with new, clever ways to infiltrate your online presence, steal your data, and potentially compromise your credit in the process. It’s important to stay on top of all of your accounts to make sure no suspicious activity occurs. 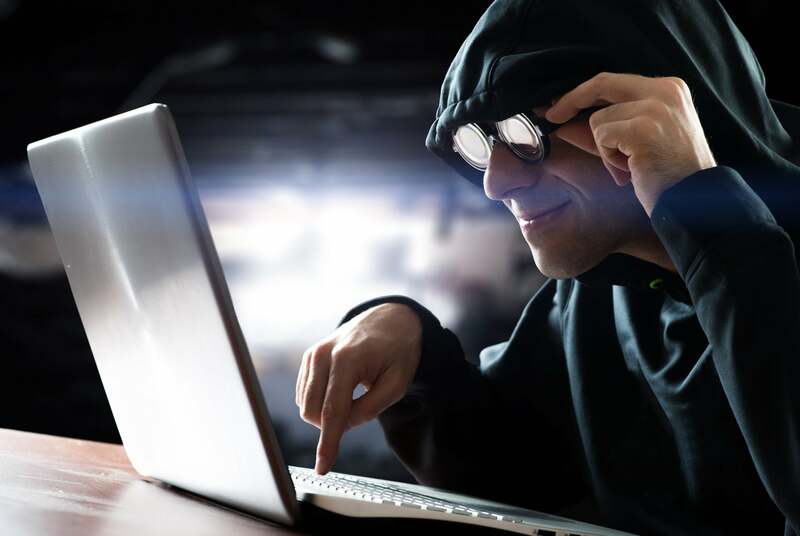 If you think you may have been defrauded by a hacker, and your credit was compromised or negatively affected in the process, a credit repair company like Lexington Law Firm can help you fight back. Contact us today for a free credit report summary and consultation. This entry was posted in Finance and tagged Credit Repair, Identity Theft. Bookmark the permalink.